For those who’ve been waiting for iOS 12.2, it’s now possible to download iOS 12.2 IPSW links and OTA (over the air) update for all supported iDevices. 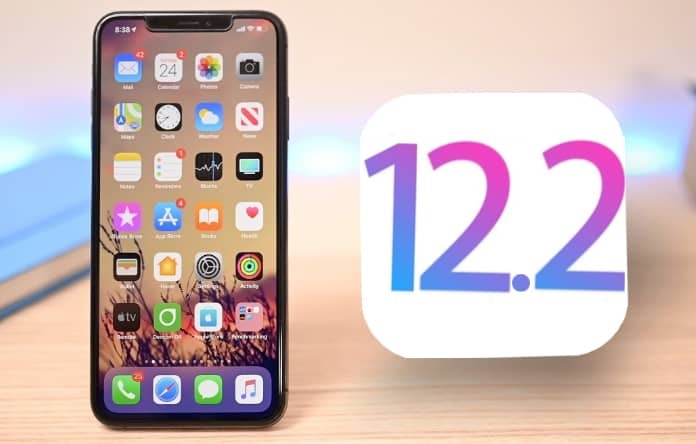 After a span of external and internal testing from registered developers, users, and Apple engineers, the company has finally made iOS 12.2 ready for the public. The release means iPhone XS Max, iPhone XS, iPhone XR, and other supported iPhone model owners, along with the owners of the latest iPad Pros, can now proceed with the installation of Apple’s best operating system ever. Of course, because it is a major release in the line of iOS 12, it comes with several improvements and fixes that enhance the current functionality. For those craving the real iOS power in Canada, Apple News has finally made way to the software. It includes everything we know and love about the native news application and there’s multilingual support for English and French users. Included in the package is the News+ news subscription service which the company announced in the event that took place on 25th March, 2019. Additionally, Apple has used iOS 12.2 to seed out brand new Animoji characters in the form of an owl, a boar, a shark, and a cute giraffe. The update also comes with new support for HomeKit and AirPlay 2 integrations on several Smart TV systems as well as a few redesigned elements all along the system, with the Control Center carrying the TV remote being one such inclusion. Those using the AT&T carrier in the US can also expect to see the 5G E icon show up in their status bars. This is a coming soon area because 5G is yet to arrive but if it does there won’t be any problems with its accommodation. Other improvements relate to the Wallet app, the Screen Time feature in the Downtime section, and Airpods 2 support. Anyone with the supported iDevice can now download the iOS 12.2 final release right away. Depending on your configuration, it can be downloaded as an OTA (over-the-air) update directly from the device through Settings > General > Software Update or like an IPSW download for prefer a fresh install. 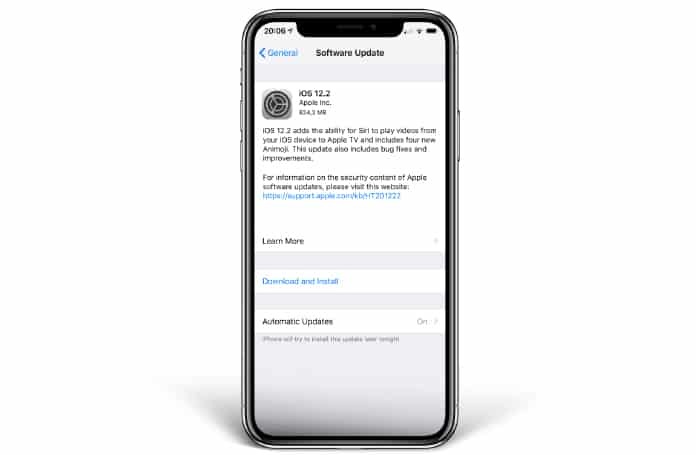 In the latter case, you’ll need to be on iTunes latest version and go through the process manually for the fresh install of iOS 12.2 so it’s recommended that you make a backup first, then proceed. Have you updated your device? How are you finding the new iOS 12.2? Let us know in the comments below.